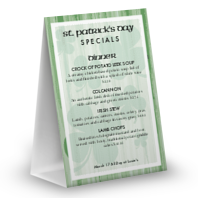 Try our St Patricks Day menu collection to find designs that will help present your festive food selections. 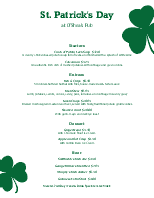 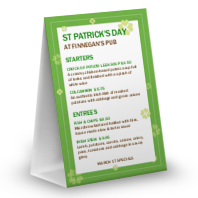 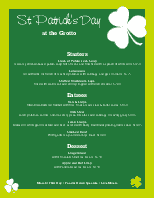 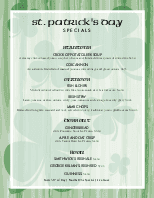 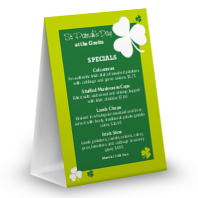 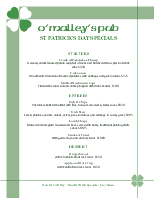 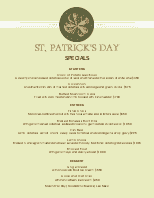 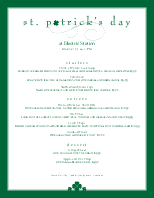 Easily edit the St Patricks Day menu templates to match your special event. 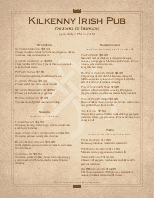 Edit, print and post directly online.